Amanda Miller MS, RN is a Master’s-Degree-Level, Board Certified, Registered Nurse with a passion for Preventive Care. As a graduate of The University of Maryland School of Nursing, Amanda began her medical career working as a Critical Care Nurse, giving aid to patients with life-threatening conditions, such as severe trauma, stroke, shock, heart attack, etc. Through caring for patients and family members suffering with debilitating critical illness and chronic disease, Amanda developed a strong interest in teaching her patients how to prevent similar issues in the first place. With this, she has shifted her nursing career to encompass a more integrative, patient centered focus to providing treatment. Amanda pursued advanced post-master’s certification through the Institute for Functional Medicine – studying the application of Clinical Nutrition and Functional Medicine. Functional Medicine embraces all of the philosophies of Integrative Medicine – treating the whole person, mind, body, and spirit – with the added benefit of employing root cause analysis to functional imbalances in the body. She is currently enrolled in further education providing insight to empower her patients to optimize their body’s ability to heal itself through nutrition and lifestyle intervention. 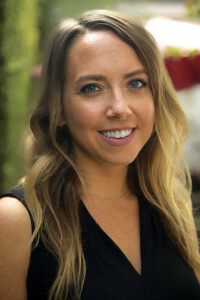 Understanding that each patient is unique and distinct, Amanda believes in developing a partnership with her patients which incorporates the impact of genetics, lifestyle, and social and personal environment. When creating a customized wellness and nutrition plan, she combines her expertise in Conventional Medicine and Chronic Disease with advancing clinical tools in nutrition. To do so, Amanda utilizes state of the art, clinically researched and evidenced based diagnostics and methodologies to ensure the best possible wellness outcome.